Miller, a California sea lion who had lived at the Aquarium of the Pacific since 1998, died Wednesday at the age of 30 due to natural causes. 11:34am | The Aquarium of the Pacific is mourning the loss of one of what employees have described as its most beloved animals, Miller, a California sea lion. Miller died of natural causes Wednesday, having reached the age of 30, said Marilyn Padilla, an aquarium spokeswoman. Padilla said that in the wild, sea lions often live to be 15 to 17, while sea lions in captivity can reach up to 30. 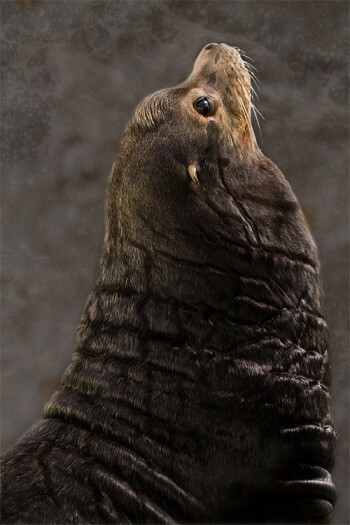 Miller was the fifth oldest male sea lion in any zoological institution. He had recently “retired” to the aquarium’s behind-the-scenes area for marine mammals. Miller was born in the wild in 1981 and was orphaned before he was old enough to survive on his own. He was rescued from a beach in San Diego by a marine mammal rehabilitation facility, where he was deemed to be unable to survive on his own in the wild. MIller was soon adopted and trained to perform at Southern California amusement parks. The aquarium acquired him in 1998, the year that it opened, after the park where he had been living decided to shutter its marine mammal show, Padilla said. The timing was perfect. Miller, then 18, came to live at the aquarium in September 1998. He was so well trained, Padilla said, that he was selected to participate in the aquarium’s daily seal and seal lion presentations, as well as participate in Animal Encounters, where visitors to the aquarium get to meet marine mammals up-close. In July 2009, MIller celebrated his 29th birthday. The aquarium held a special ceremony for the senior sea lion, which was reported live by a local television news crew, Padilla said. Last year, veterinary and animal husbandry staff made the decision to retire Miller for health and safety reasons. Visitor, however, were still able to see him on behind-the-scenes tours, she said.